Matt Hayward of Norfolk County Council, the Lead Project Officer for the Greenways in our corner of Norfolk, has kindly agreed to come and meet with West Norfolk Cycling UK (CTC) and give a presentation at The Anvil in Congham on Wednesday, 1st May 2019. The presentation will start at 7:30pm. Non members welcome to attend. Another 2m of Cycle Track Built! 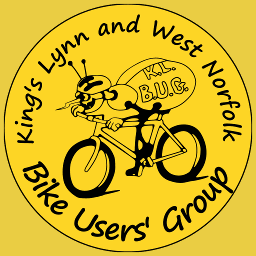 © 2014 King's Lynn and West Norfolk Bike Users Group.